Two Twelve Principal and Columbia University Adjunct Ann Harakawa and Columbia University Adjunct Professor Kaz Sakamoto offer a Columbia University Graduate School of Architecture, Planning and Preservation (GSAPP) Summer Workshop called Transit-Oriented Development (TOD) Futures. 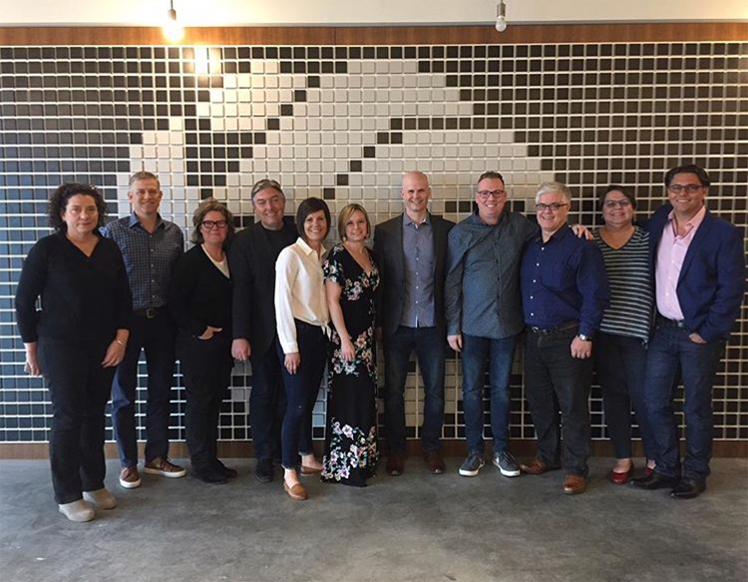 Big Welcome to the 2018 SEGD Board! We are proud to announce Two Twelve Creative Director Anna Crider-Sharp is Vice President of the 2018 SEGD Board. Anna brings a committment to the development of meaningful and impactful user-centered designs, evident in her strategic and collaborative approach. The Robert Sterling Clark Foundation announces the selection of 48 New York City change-makers, including Principal Ann Harakawa, to join the Sterling Network NYC, a new initiative for systems-leaders who will work together to tackle the challenge of increasing economic mobility for New Yorkers across the five boroughs. These dynamic leaders have been selected for their commitment to collaboration and their dedication to addressing and resolving the root causes, rather than just the symptoms, of New York City’s most challenging economic issues. Two Twelvers present their candy-coated visions of NYC landmarks in this year's gingerbread competition. Check out our end-of-summer edition of Shots from the Street and the winning photos! It is my final day at Two Twelve and I am currently looking out from the window closest to me and admiring the view for as long as I possibly can.I arrived what seemed to be a day ago, but months have passed and soon, so shall my co-op. I could ramble on for hours about the fresh ideas and lessons I have witnessed in the workplace and in New York in general, or what was probably brought back to Cincinnati from New York from a design and cultural basis…but then I might as well draft and publish a memoir the size of a novella, and I doubt I can do that within the eight hours of my last day so hopefully this reflection will do. For almost a year now we have been traveling to Los Angeles to work with a great client there. Because we like to eat delicious food, we love to scour this huge city for good eats. Near our client’s office we had lunch poolside at The Roof on Wilshire. A friend took me to Chosun, which has fantastic Korean barbecue. There’s Mercado for great Mexican and Carmela’s next door for small batch ice cream. After work the rooftop bar at the Ace Hotel is a nice hangout, while Slurping Ramen hits the spot for a lighter dinner. I could go and on and on and on.